Juxto has teamed up with his friends streamers to gift one of their fans with amazing Razer bundle! 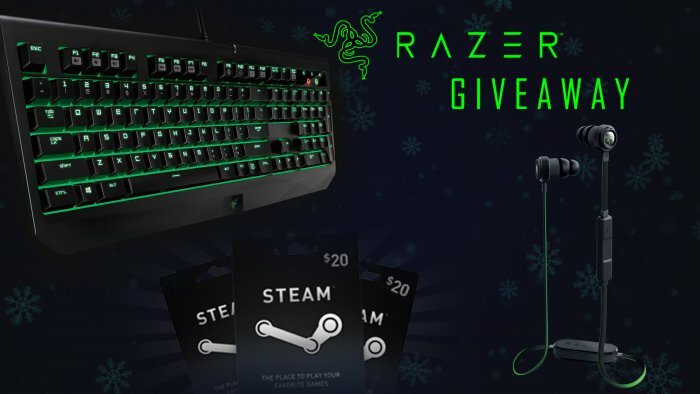 To enter in their latest Razer Christmas Bundle Giveaway grab your free entries by following few simple steps listed down below! Razer Mechanical Switches have consistently proven themselves to be the best for gaming, delivering both top-notch performance and reliable durability without compromise. This very same Razer technology and design is now being manufactured in-house end to end, ensuring even stricter requirements are met for each switch produced, resulting in a life span of up to 80 million key strokes. The all-new Razer BlackWidow Ultimate features individually programmable backlit keys along with dynamic lighting effects all set easily through Razer Synapse. Not known how winner is about to be contacted, probably by email and announced in giveaway widget.